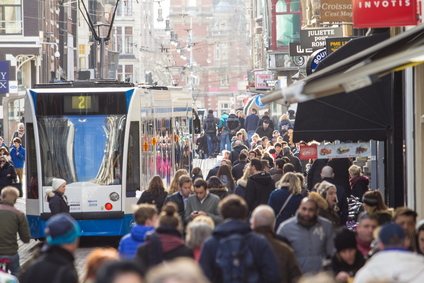 The population of the Netherlands grew by over 80,000 in the first nine months of this year, with immigrants from other EU countries and the Americas on the rise, national statistics office CBS said on Tuesday. In total, 66,000 more people moved to the Netherlands than left and 15,000 more babies were born than people died, the CBS said. Syrians accounted for the largest population group but there has been a drop in the number of people coming to the Netherlands from Syria and other parts of the world where it is ‘unsettled’, the CBS said. ‘Immigration from other countries has increased, particularly people who were born in European countries and the Americas,’ the CBS said, without giving further details. More people from countries in the former Soviet Union, such as as Lithuania and Estonia, came to the Netherlands than left and there was also a net increase in immigration from Turkey, the CBS said.